It’s a week of great reviews! 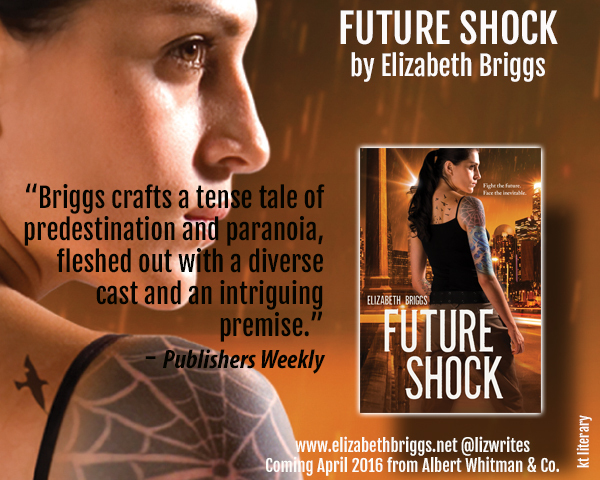 Thanks to Publishers Weekly for another wonderful review of Future Shock by Elizabeth Briggs. A young woman travels to the future in this temporal thriller, a series opener and Briggs’s (the Chasing the Dream series) first book for teens. Due to the eidetic memory 17-year-old Elena Martinez has kept hidden all her life, she is selected by the powerful Aether Corporation to join several other talented teens on a trip 10 years into the future as part of a time-travel experiment. When they overshoot their mark by two decades, they spend a harrowing day eluding authorities and coping with radical changes in society and technology. After Elena and her erstwhile allies learn that most of their group is fated to die just after their return, they work to discover the truth behind their mission and their perhaps-inevitable dooms. Briggs crafts a tense tale of predestination and paranoia, fleshed out with a diverse cast and an intriguing premise. While the author concentrates more on worldbuilding and plot twists than on her characters, leaving several of the protagonists underdeveloped, the overall presentation is solidly entertaining. Please join me in congratulating Liz on Twitter! 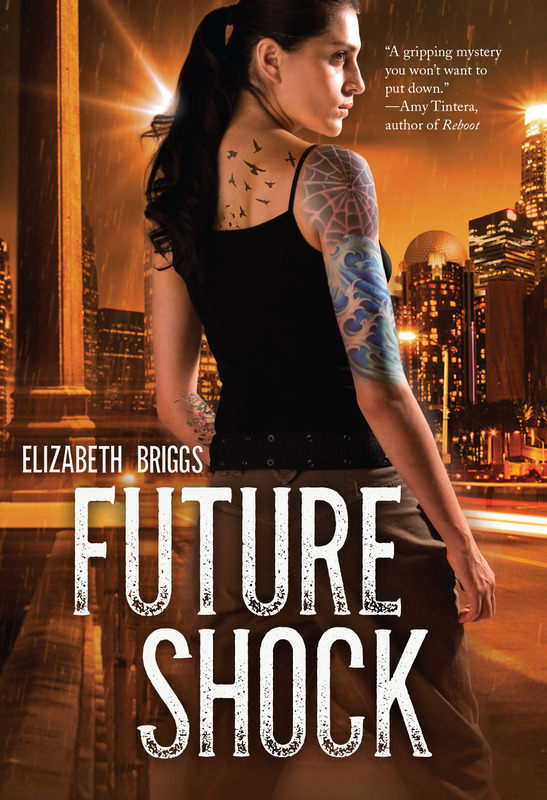 You can also read a sample from Future Shock on her website, if you need further inducement to pre-order.